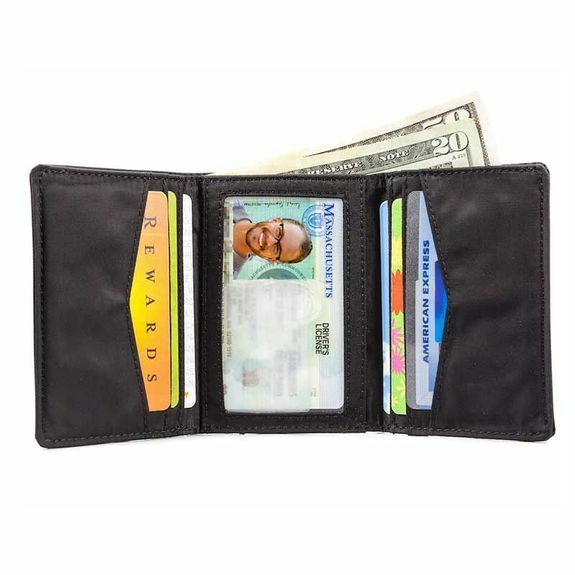 This is the thinnest tri-fold wallet you'll find on the market, and if you read the hundreds of raving, 5-star reviews, you'll see why. 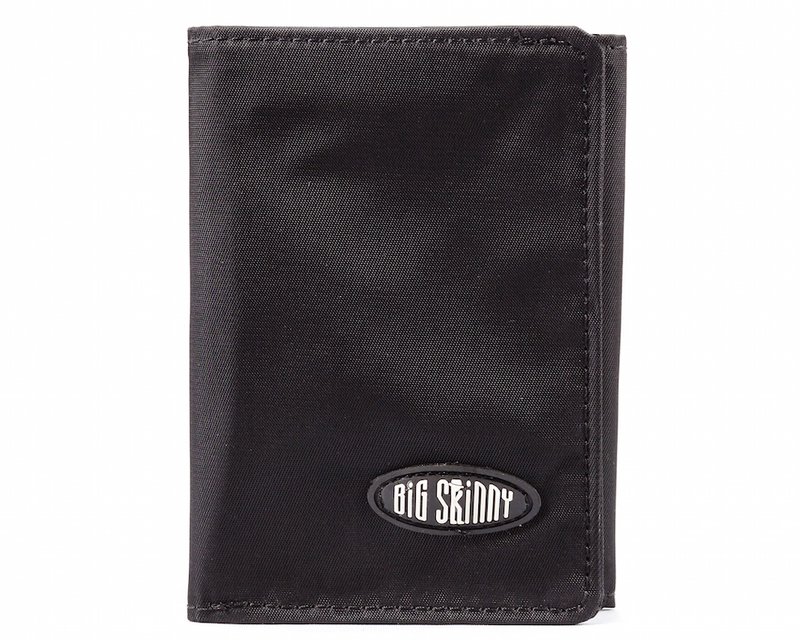 With our proprietary water-resistant nylon microfiber construction from Big Skinny. 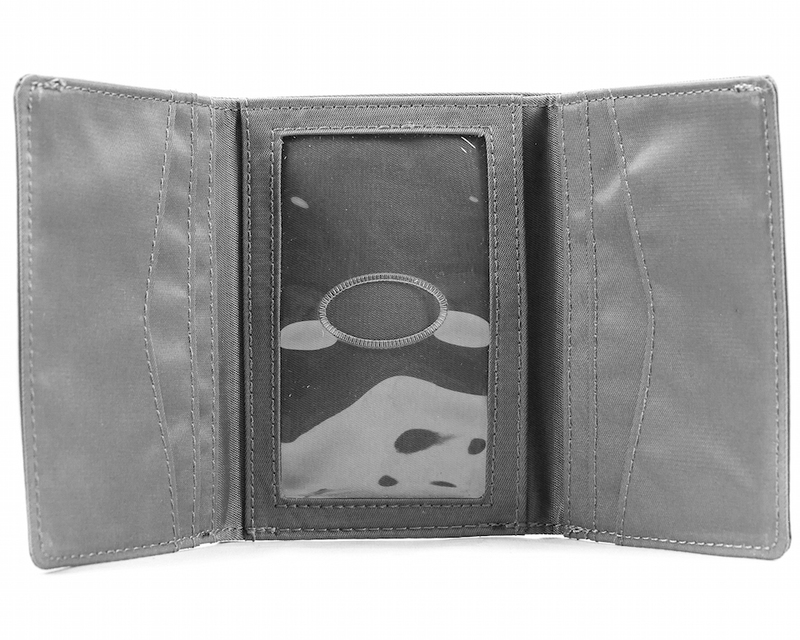 Ours holds everything your old-fashioned trifold wallet holds and more; except ours is more than five times lighter. It's so awesome; we made a movie. Click on our fun video about how much stuff your Big Skinny tri fold will hold while we go shopping for A-list actors to star in our feature length sequel. 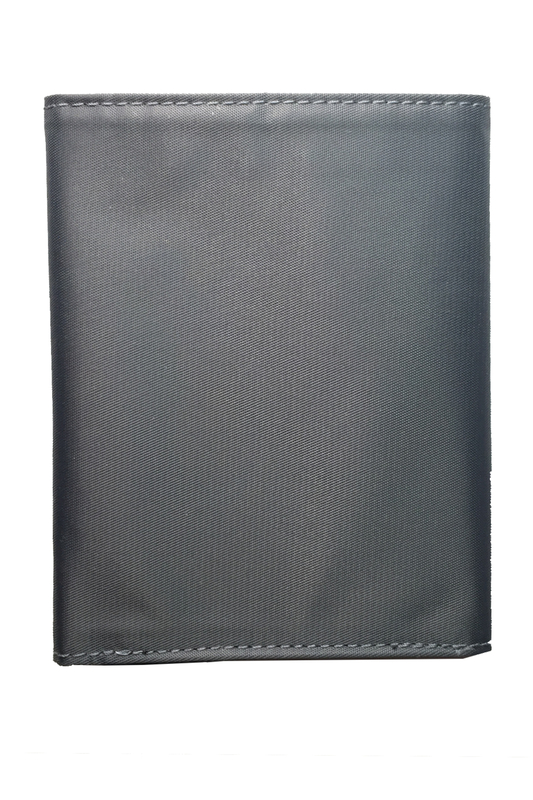 Our lightweight nylon tri-fold weighs less than an ounce, and it's only 3/16 inch thick when closed. 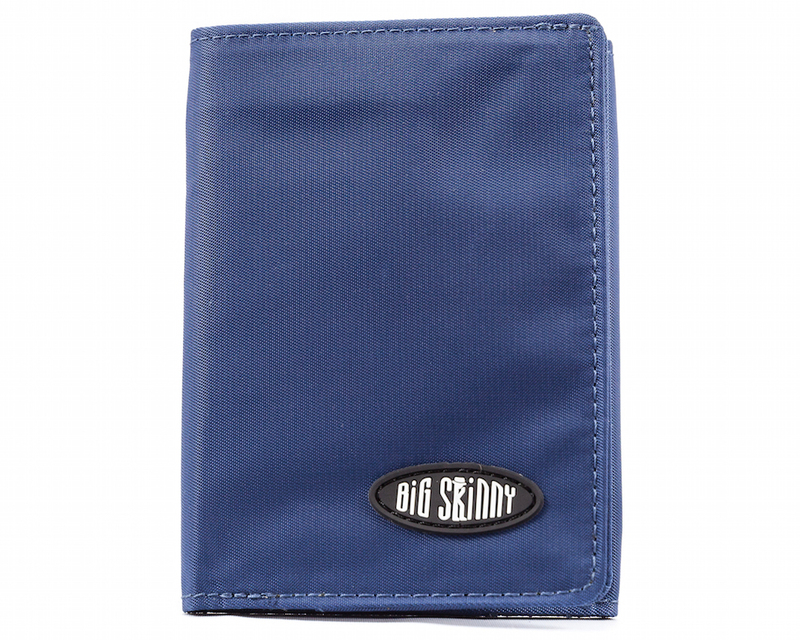 Four roomy, extra-wide credit card pockets hold 20 to 25 plastic cards, and there's a full-size billfold area inside. 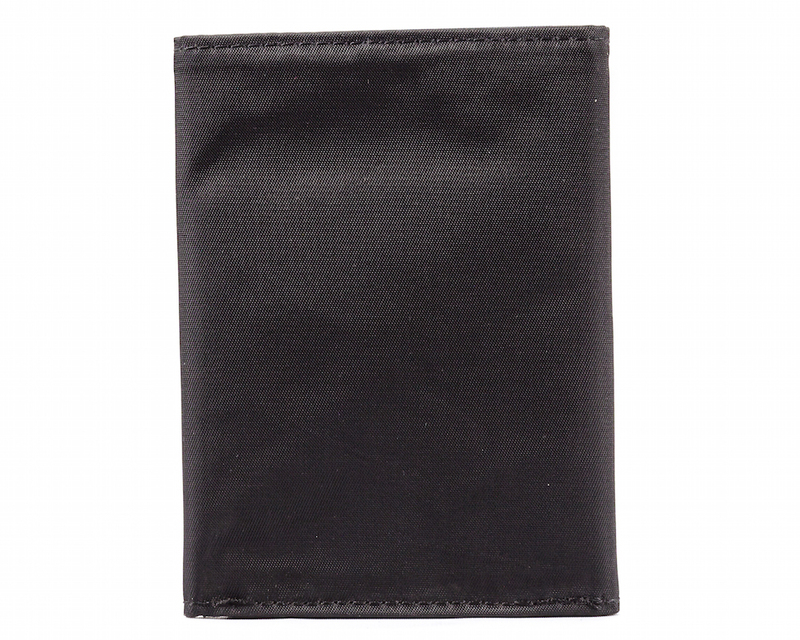 You will also find an extra-wide clear ID card pocket inside, as well as two oversized hidden storage pockets for the stuff you carry that we don't want to know about. The dimensions are 3 inches by 4 1/8 inches. Order yours in tuxedo black, navy blue, graphite or chocolate brown. 3/16" (5 mm) thin when closed! 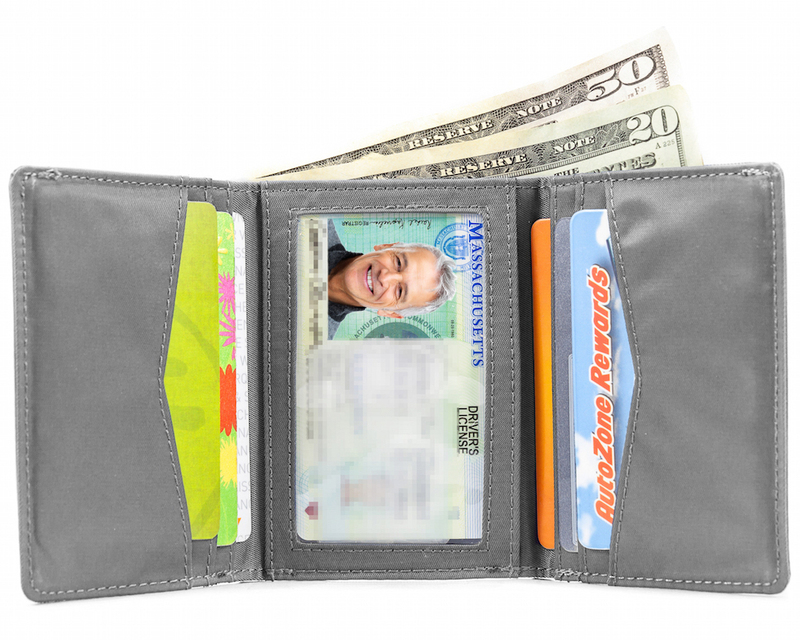 Looking at the dimensions of our wallet, you're probably wondering how we get our nylon trifold wallet so skinny. Well, there are two good reasons. 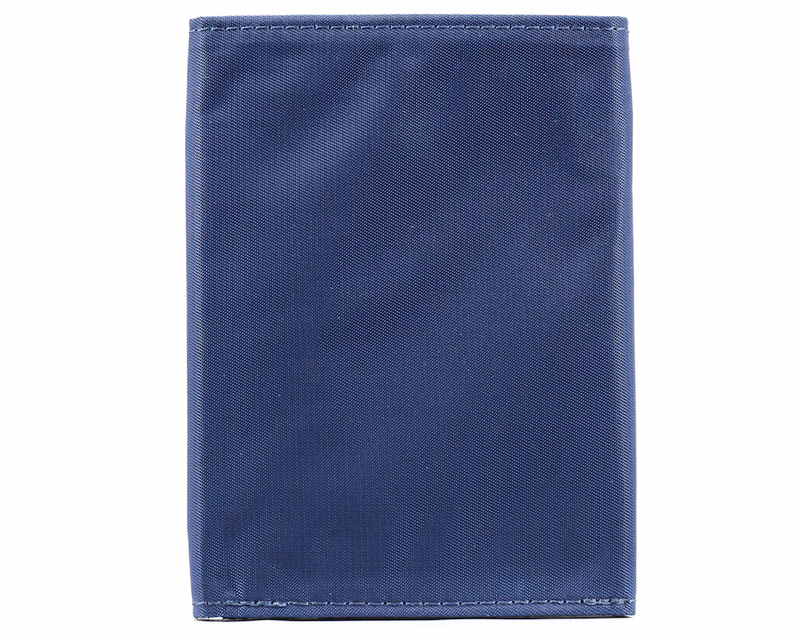 The first is we use our special nylon microfiber fabric to make our wallets. 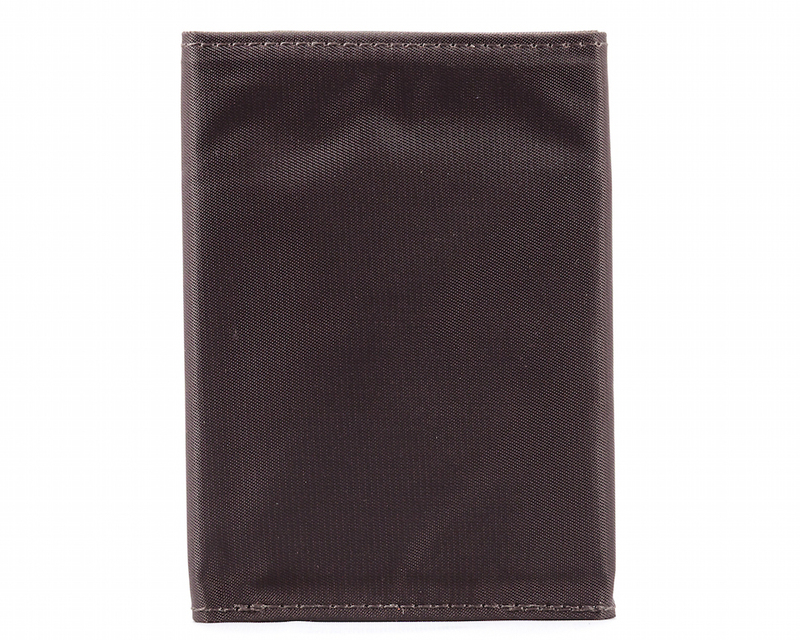 This type of nylon is very thin, paper thin in fact, and extremely durable. 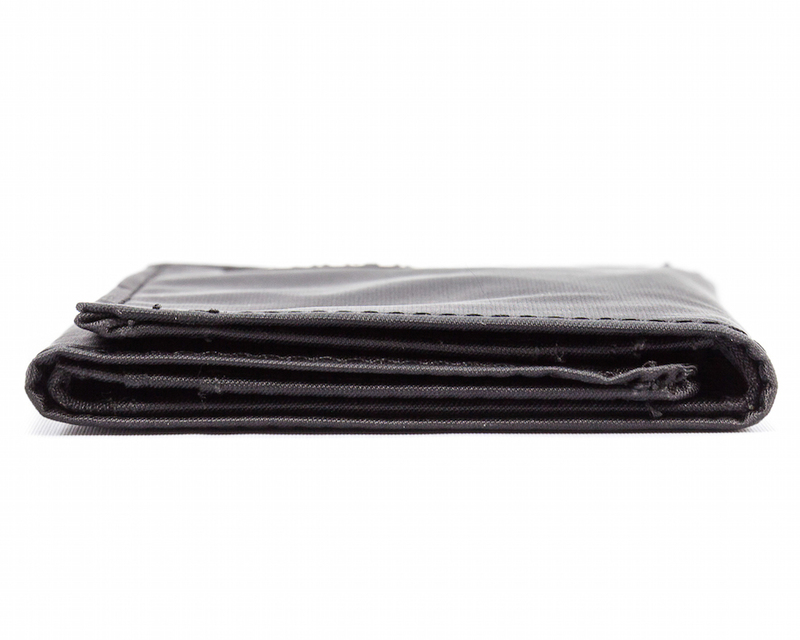 Its durability is actually why our wallets come with extra perks like being totally washing machine safe (seriously, throw it the washing every week if you want to, it won't wear out!) The second reason is our smart design scheme. 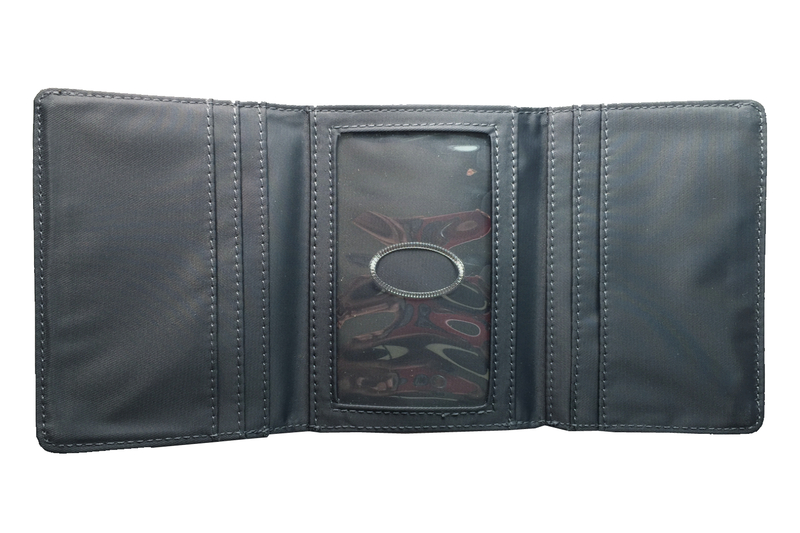 We use extra wide pockets to increase storage options, but we arrange them in a tiered style that ensures the girth of the wallet stays slim. 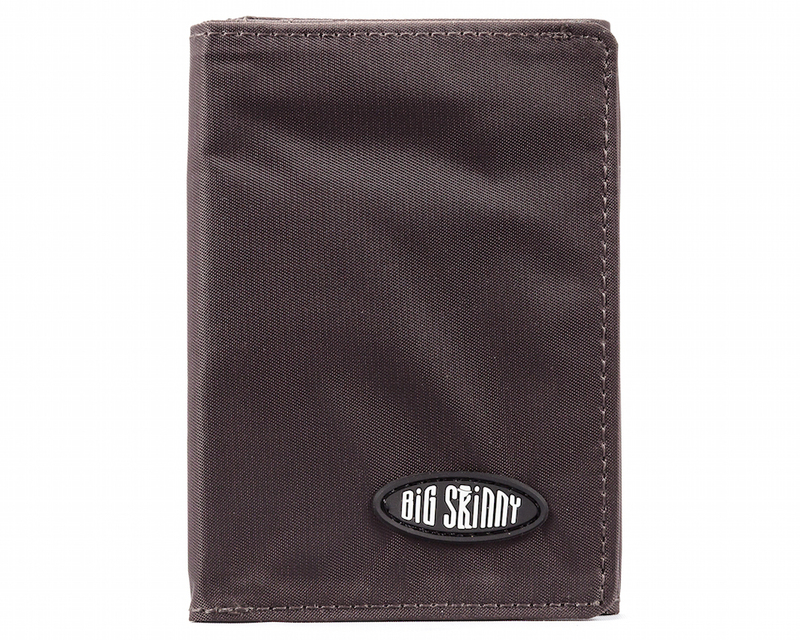 The thinness of Big Skinny's nylon trifold wallet as many obvious benefits, but here's one you might not have considered. 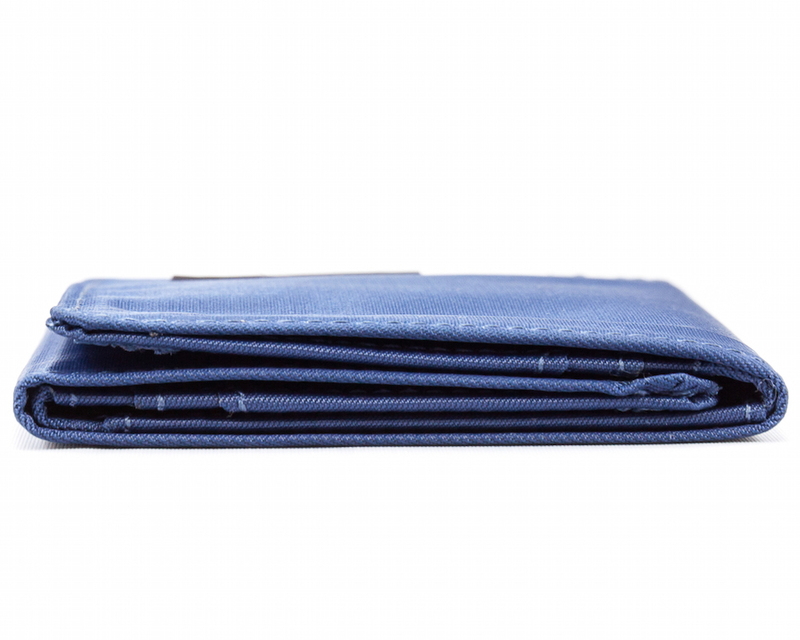 Those who prefer to stash their wallets in their back pockets often end up sitting in a slanted position that over time can cause hip misalignment and chronic back pain. Take one look our reviews and you'll see many of our customer's found instant relief when they switched over to using our nylon trifold! 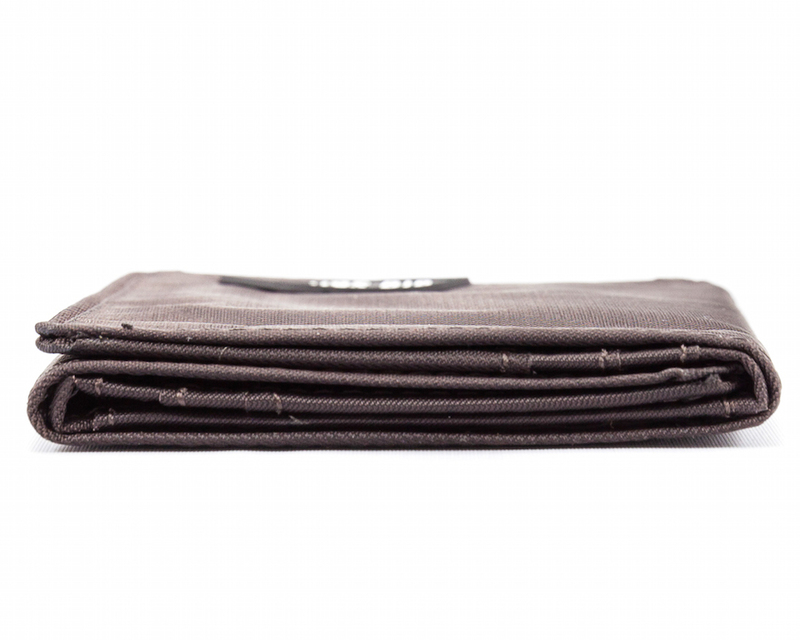 Don't wait on this any longer, grab yourself (and your loved ones) a Big Skinny Nylon Trifold Wallet today! 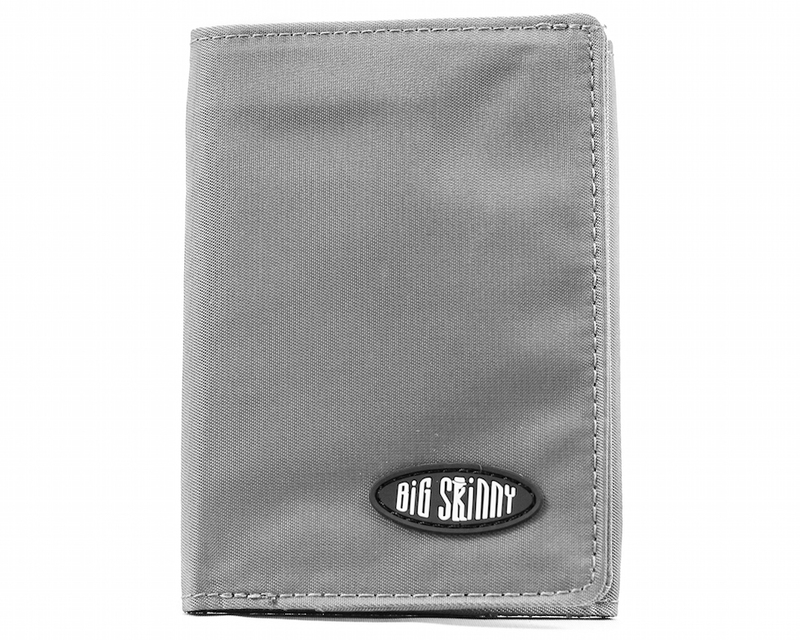 I found the Big Skinny Wallet about 10 years ago at a New York Street Fair. The man in the booth had me take my oversized wallet and empty it. 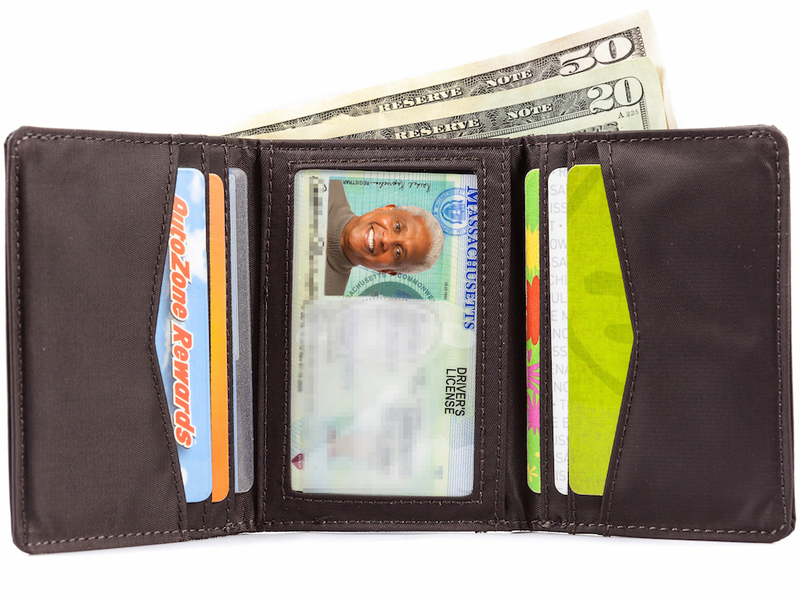 Then he took everything that I had taken out and put it in the Big Skinny wallet. It was 1/3 the thickness, without leaving anything out! I was amazed and bought it on the spot. 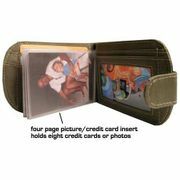 I have told everyone about these wallets. 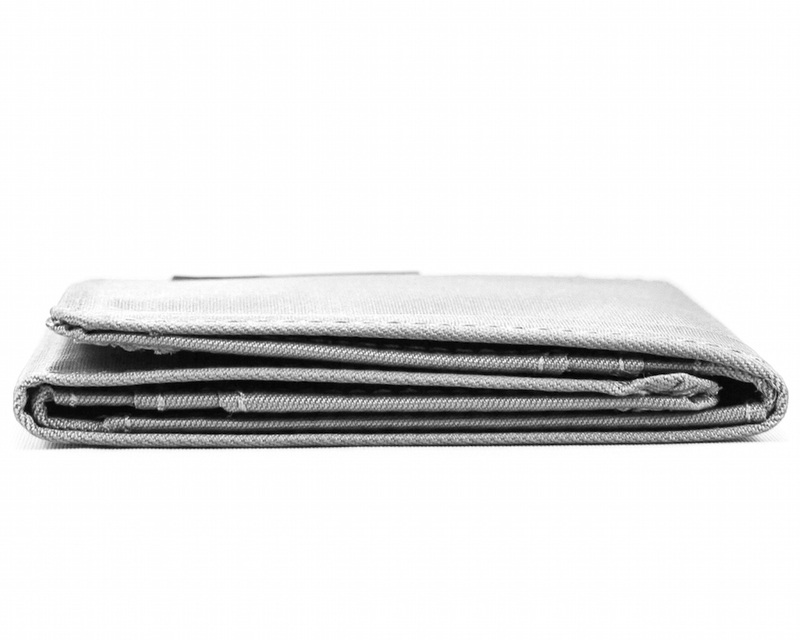 I just bought a new try-fold wallet. Mine was getting a little raggedy after 10 years. So now I have a new one for 10 more years. ProsVery durable material. I have kept it in my back pocket every day for 10 years, and it still was OK. Just getting a little worn. Also, it is amazing how these are truly "skinny" even with everything that I put in it. Absolutely love my wallet! 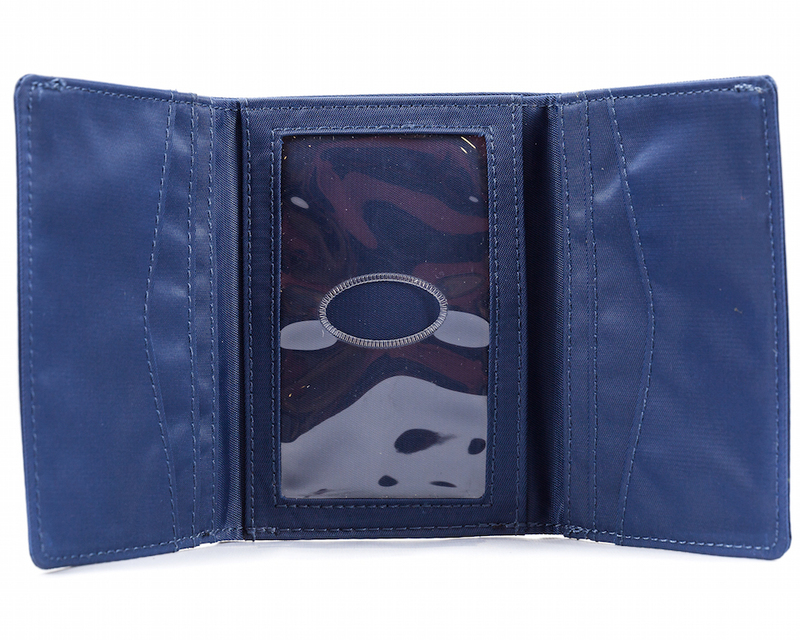 The color is perfect and wallet is so thin and lightweight. So much better than my old, bulky one! It was a bit smaller than expected, but after using it for a few days my husband was very pleased with it. I would rate it a positive purchase. 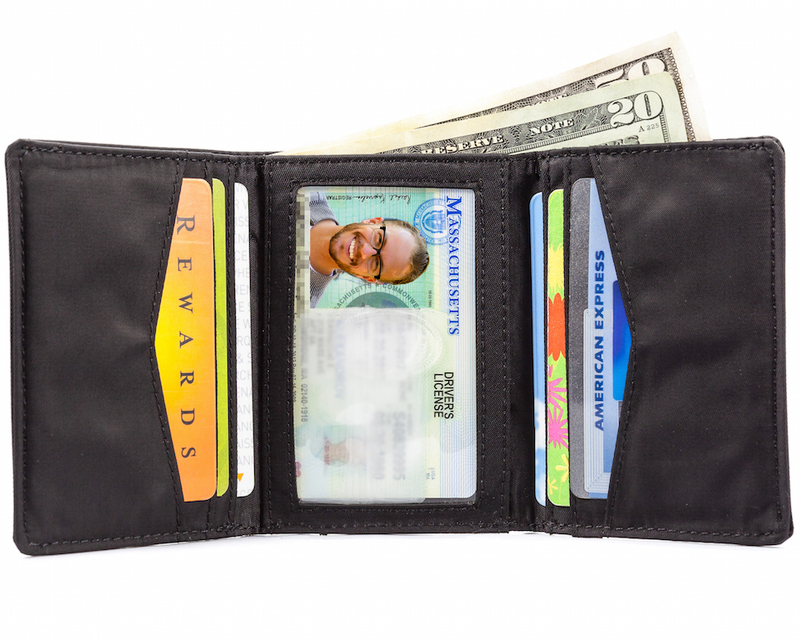 I like this wallet. I've been using it non-stop, and I have no complaints. If the dimensions were even a smidge smaller, I'd like it even better. I am a woman, and I do need something that fits into women's front-pocket jeans. This is better suited than anything else I've found. We purchased my husband one several years ago and he loves it. We purchased this one for our nephew and he loves is as well. Thin and Durable this is my 2nd one! The first one was 5 years old and still in good shape. I just needed a change. I will never go back to a thick leather wallet again. I also really like this won because there is now way the cards can slide out. ConsNone that I can think of. 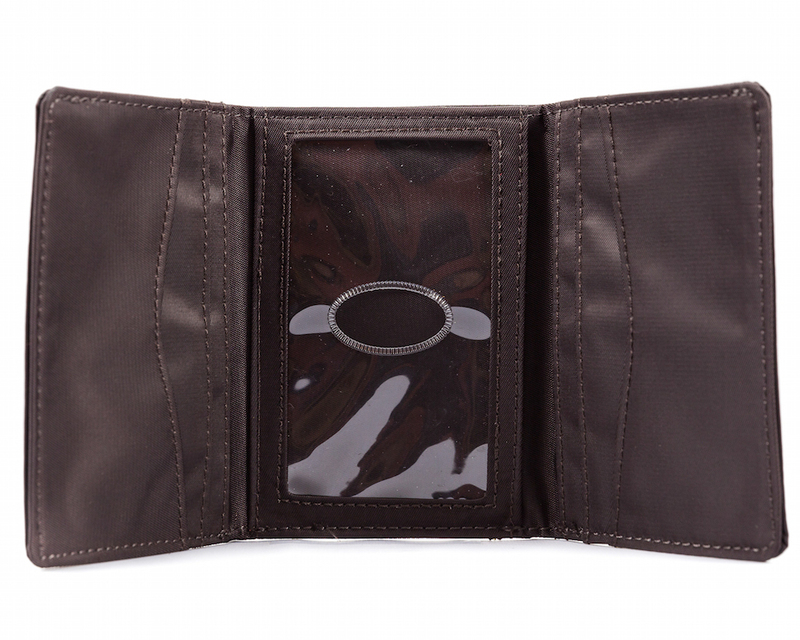 I bought this wallet to replace the big skinny wallet I bought my husband 6 years ago. 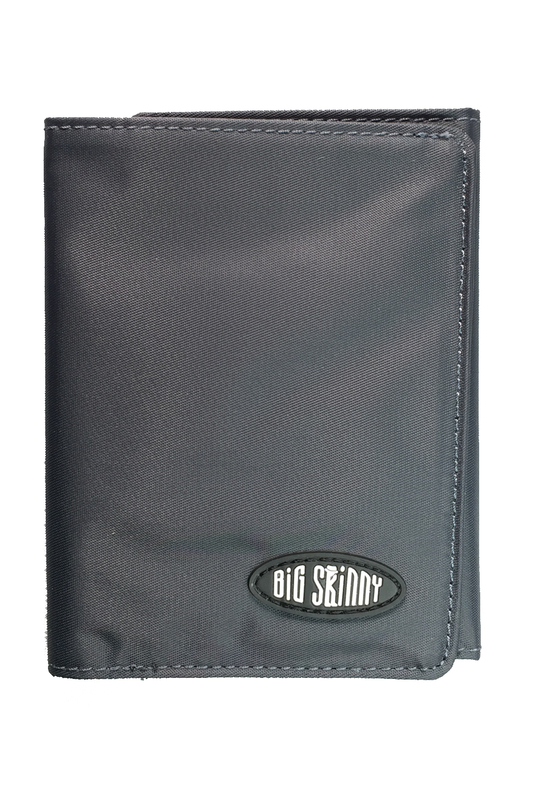 He loves it and will only use Big Skinny wallets from now on! 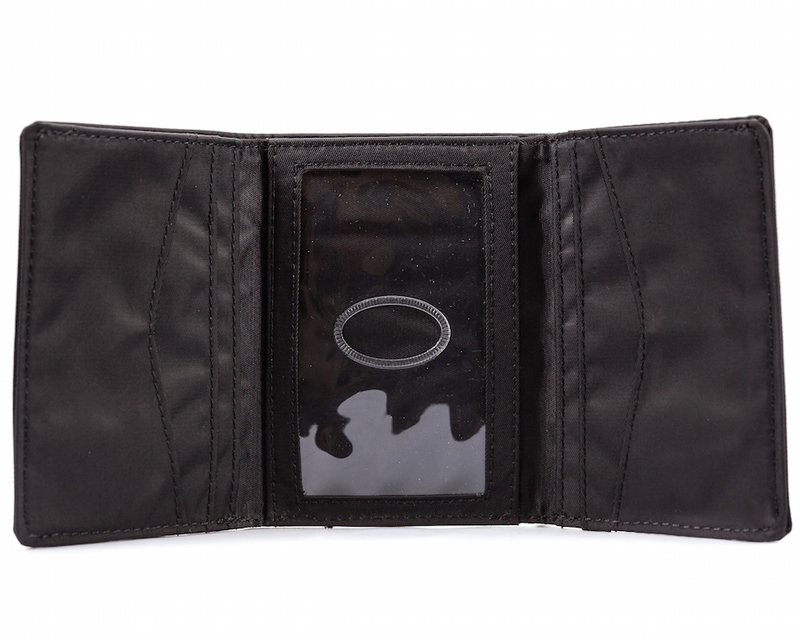 ProsMuch smaller than regular wallet holding just as much! This is much thinner then my old wallet. I am able to carry all the cards & cash. 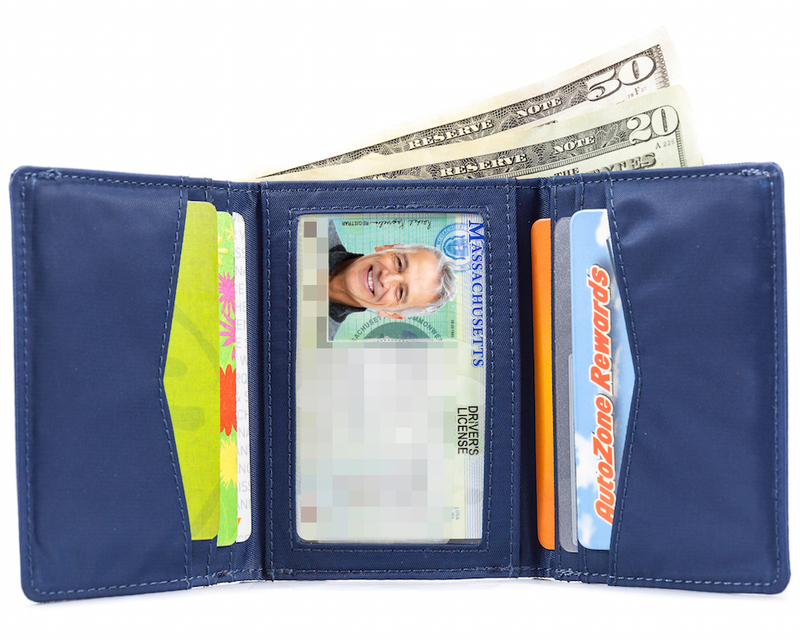 With several boys in the family needing wallets and in different colors these are my go to. Light weight and great storage.